Warbird Weekend is a two-day festival held at Idaho County Airport in Grangeville, Idaho over the weekend of July 12th and 13th. It will feature historic aircraft displays and flights, aviation-related events and presentations for every age. The organizers started the event to showcase their airport as a place for both business development and a gateway to North Central Idaho’s back country wilderness. 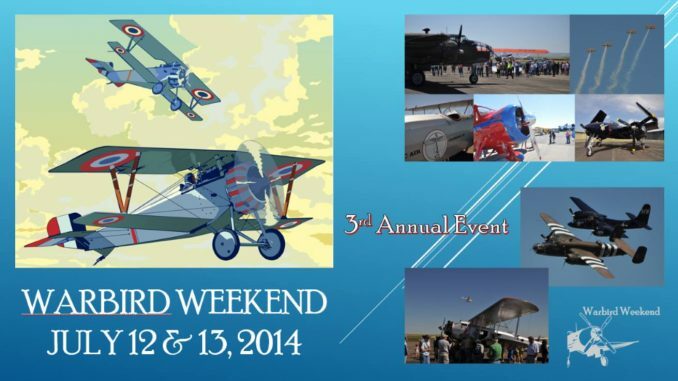 A fund-raising event to help gather additional capital for the Warbird Weekend will take place on Saturday, May 31st. The benefit runs from 7 to 9pm at the Twisted Cellar on Main Street in Grangeville. Offerings will include sliders for $9, along with varying costs for beer and wine. Kim Johnson will host music bingo (participation by donation). Participants will play by listening to a musical selection and marking their cards with the correct artist and song title. 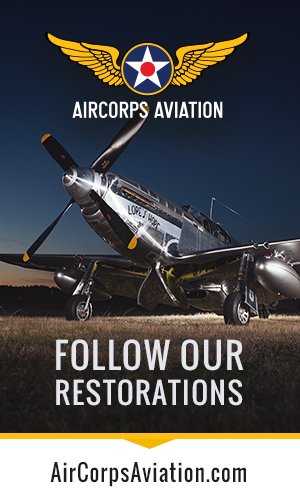 All proceeds from this event will go toward bringing pilots and their historic aircraft to the third annual Warbird Weekend. Donations may also be made to support the event, and five sponsorship levels are available: $249 or less, $250-$499, $500-$999, $1,000-$2,499, and $2,500-plus. Each level entitles donors to special extras and recognition for their support. For event information, or to submit donations, please contact Melisa Bryant at (208) 983-8302, or Lindsay Denuit at (208) 451-5426. Donations may be mailed to Friends of Warbird Weekend, P.O. Box 393, Grangeville, ID 83530. Also check out event news on their Facebook page HERE.